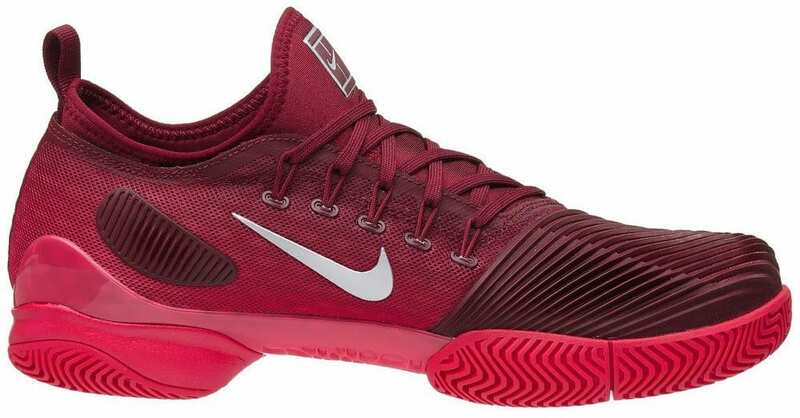 Nike Air Zoom Ultra React Review - Article Goal: Provide the recreational tennis player or series tennis enthusiast an honest, unbiased look into Nike's lastest court shoe model - the Air Zoom Ultra React. Related: For our full review of the Adidas Barricade 2018, click here. 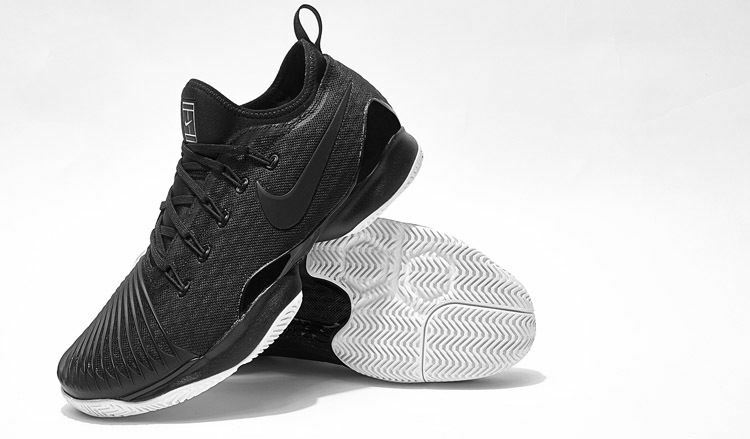 Overall, with the Nike Air Zoom Ultra React, you’ll get a good (not great), lightweight speed oriented shoe structurally reinforced in all the right spots. For starters, I feel like the Ultra React is built very low to the ground. It doesn’t offer as much ankle support, which could cause problems if you are prone to ankle rolls or twists. The upside is that the shoe is lightweight and allows you to be fast on your feet. The instant you put this shoes, it's clear that it's designed for speed. Three cushioned areas on the heel, midsole, and near the toe provide extra cushioning for the foot while you’re making aggressive movements on the tennis court. The sizing can be a little off because there’s some slipping. This goes away over time as the shoe gradually molds to your foot. The Nike Air Zoom Ultra React is meant for longer, narrower feet. When moving from side to side, it was easy for me to feel that the shoe was locked into place. However, moving when forward and backward, I could easily detect a comparative lack of support in the forefoot from the uppers. The shoe will wiggle around and create blisters if you aren’t wearing the proper socks or don’t tighten your shoelaces enough. We also recommend doubling up your socks for almost any new tennis shoe. Speaking of shoelaces, they are extremely long and thin laces, more than should be necessary. This helps tighten them up a bit. The outsole of the Ultra React is made of XDR rubber, which is claimed to be harder than standard shoe rubber. While this may be true, hardness translates to brittleness. In our opinion, this Nike’s shoe, designed for speed, is more likely to need quicker replacement. The upper and most of the chassis have incorporated a mesh layer for construction. This virtually eliminates the break-in period that plagues other tennis shoes from other brands. The shoe can definitely breathe but to me, offers little protection against abrasion. With these shoes, you might as well not be wearing anything on your toes when it comes to abrasion protection. While the shoe can breathe in some areas, in others it definitely falls short. For example, the top and sides are coated with a harder rubber that aims to add to durability but has the opposite effect as far as comfort is concerned. The upper also has an odd construction. While many tennis shoes have an indentation over the Achilles tendon, this one has a slight bump or arch. I’ve had this create blisters and chafed areas, even though I was wearing good socks. The Nike Air Zoom Ultra React is supposed to be good for multiple types of court surfaces, but the numerous issues we’ve talked about here don’t really place this shoe above other models like, say, the Nike Air Vapor 9.5 Tour. You can do better, but if you just want something for speed that’s meant to fit on a narrow foot try the Ultra Reacts. Just don’t expect elite, tip-top performance. 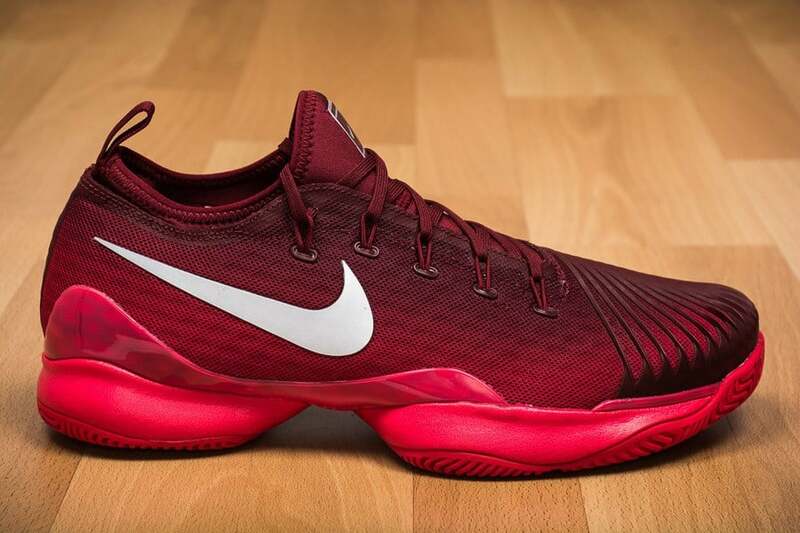 The Ultra React is middling compared to most of Nike’s other offerings, both as court shoes and as standard wear. Like the Air Zoom Ultra, it has no standout benefits that other court shoes don’t improve upon. The Nike Air Zoom Ultra is the predecessor to the Ultra React. It has most of the same features, but was made for a wider foot. This can work for or against you depending on how large your foot is. That aside, here are a few of the specific features. First, the shoe incorporates mesh technology across almost the whole upper. This is intended to promote breathability, which is always a plus. Lack of breathing room causes your feet to sweat with exertion, making your shoes and socks a breeding ground for bacteria. The toe box is a little narrow and can jam into your toe if you make sudden stops on a hard court. I’d recommend dropping it by maybe half a size and wear thicker socks to protect your heels as well. The standout feature of the Nike Air Zoom Ultra, along with the Air Zoom Ultra React, is the presence of the AirZoom units positioned on the feet. The Ultra React has three pockets, whereas the standard Ultra seems to have only two. This is a worth upgrade on Nike's part. This is thus far my only point in favor of the Ultra React rather than the original Ultra. However both shoes seem to have small issues with durability, making them something you’d want to save for game day rather than practice sessions. That's just our take at least. One good thing about the Ultra is the presence of FlyWire technology. This feature employs special shoelace aglets to keep your shoelaces locked into place while you tighten them so you can get a perfect fit without worrying about your shoelace slipping. We really like this feature! It does, however, take some care because I’ve noticed that hard use can cause these small eyelets to be torn loose of the shoe. Careful not to pull too aggressively on the shoe when tying them up. The padded fabric interior, while not perfect for supporting the foot, does an adequate job. Something like memory foam inside the shoe would be better, even though the outsole and the AirZoom units exist, they only work for a few months before wearing out. The collar could stand to fit more tightly as well. Without a tighter fit, the shoe rides up and down on the foot as you run, creating blisters. Nike Air Zoom Ultra React Review- How Does It Stack Up? The Nike Air Zoom Ultra and the Nike AirZoom Ultra React, while they have decent features, don’t stand out as particularly high-quality. Both types of shoes have a lot of drawbacks. Therefore, I can’t really recommend them as the optimal choice for serious tennis players. While there’s nothing wrong with having multiple pairs of shoes, having to wear a different kind for practice and a different kind for serious play alters your muscle memory because it feels and performs differently. A good shoe should be able to stand up to the rigors of practice and play. For durability, I’d say these are mediocre at best. You should consider the Nike Vapor line for more durability. The Nike Air Zoom Ultra and the AirZoom Ultra React are both built low to the ground, which doesn’t provide good ankle support. The AirZoom UltraFlys, on the other hand, are a line that have more support in the ankles even if they feel stiff. The Air Zoom Ultra and the Ultra React don’t take much breaking in, but this is offset by the poor fit. I don’t feel like you should have to buy shoes that aren’t your size just to make sure they fit right. Other models like the Nike Cage 3 do better in this regard. Overall, some readers are going to comb through our Nike Air Zoom Ultra React Review and point out that we may have been overly critical. But, our job, when reviewing individual products, is to come at them with unbiased analysis. After that, the chips fall where they're going to fall depending on our opinion, and in this case the fit of the court shoe. Shoes can be a tricky thing though because each persons perception of fit, can be different, What's uncomfortable for me may be exactly what your foot needs. The truth is, I wouldn’t really recommend either the Air Zoom Ultra or the Air Zoom Ultra React over other Nike tennis shoes. I'd check out the Nike Air Vapor 9.5 Tour, the Nike Air Cage 3 (especially if you have flat feet) and even the Nike Air Zoom Ultrafly as better alternatives. While the React foam is a nice competitor to Adidas’ Boost foam, both of these shoes aren’t of the same quality players have come to expect from Nike. What Are The Best Tennis Racquets For High School Players?